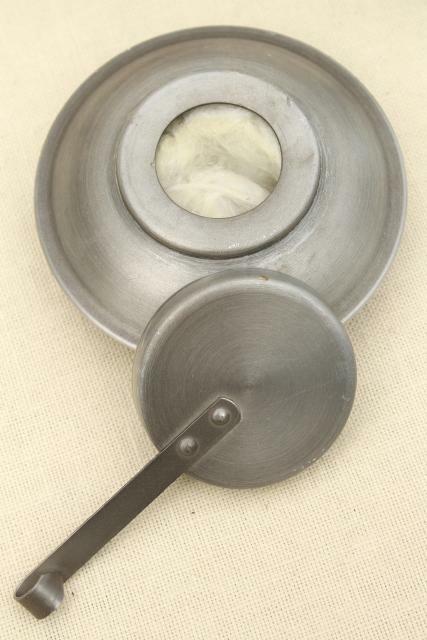 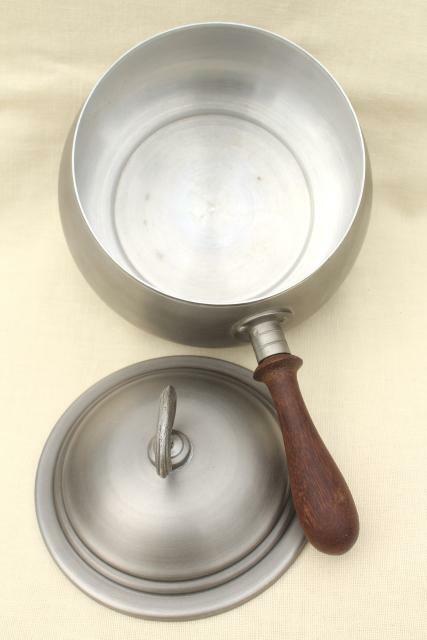 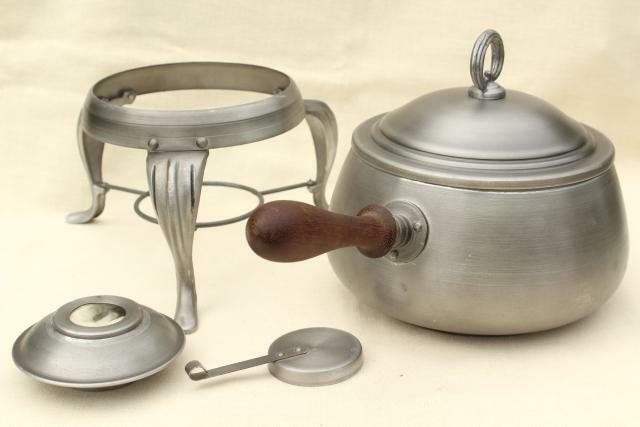 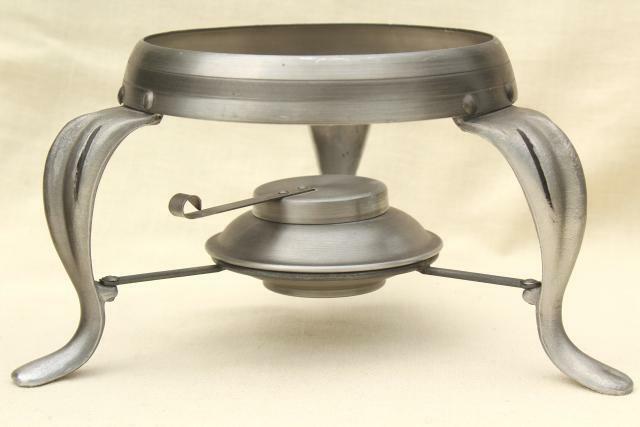 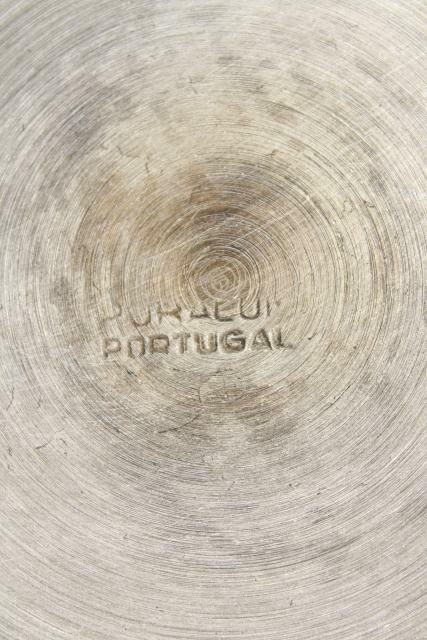 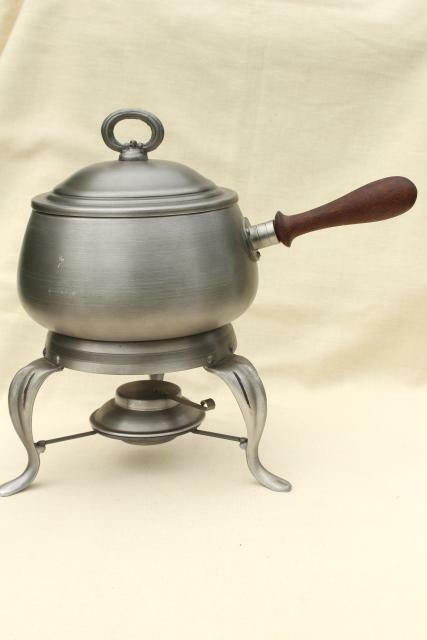 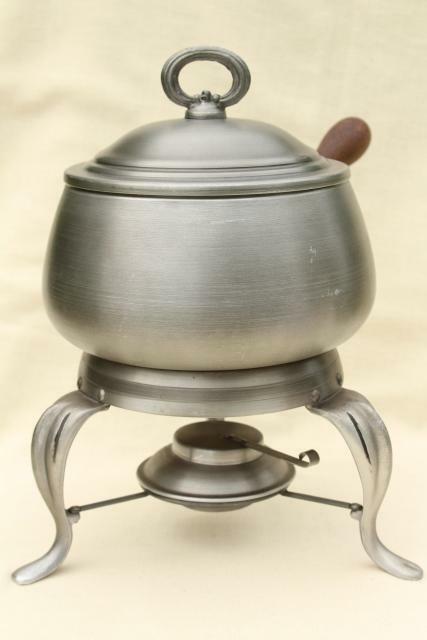 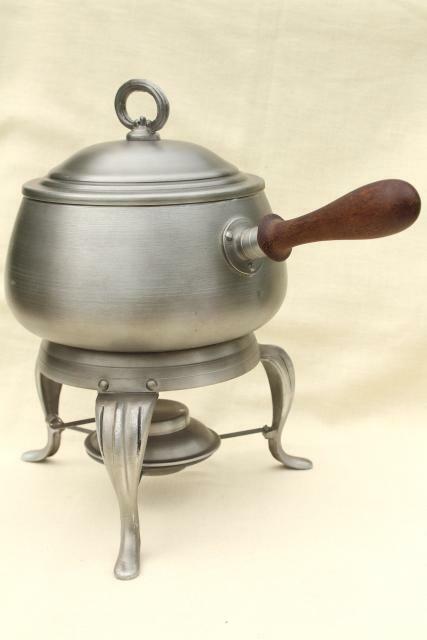 Vintage made in Portugal fondue pot and stand with burner... this would also make a good chafing dish with warmer! 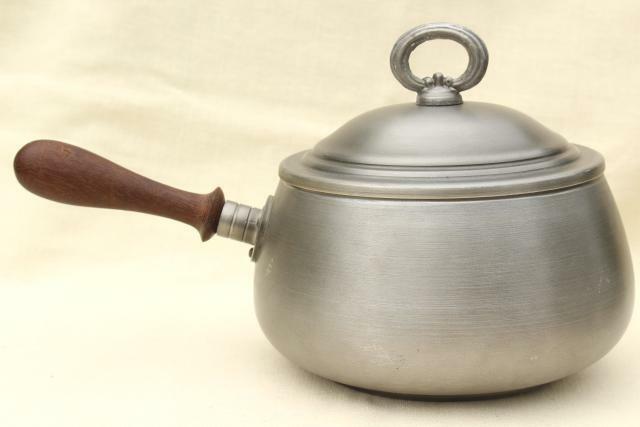 It's a brushed finish silver tone metal, probably aluminum, we think. 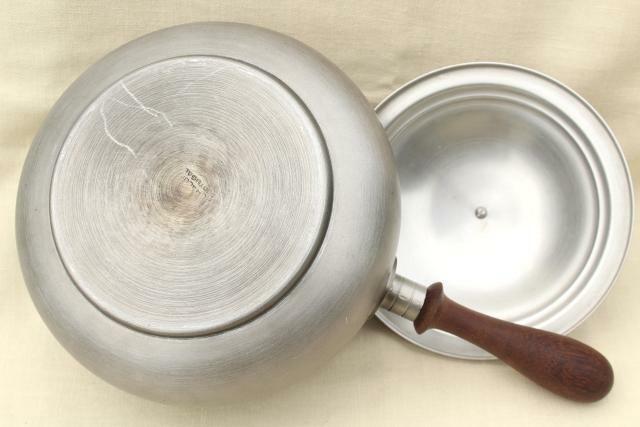 It's is very good clean condition overall, barely used.